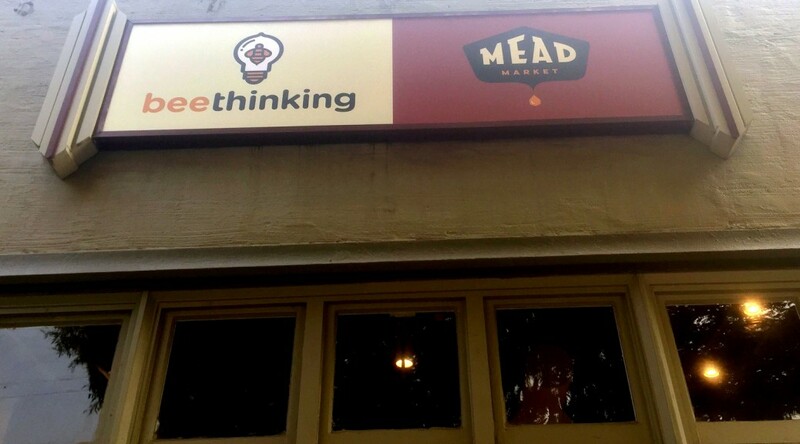 Portland’s first mead-only tasting room and bottle shop, Mead Market opens October 1, 2016 at 1744 SE Hawthorne Blvd., Portland, Oregon. 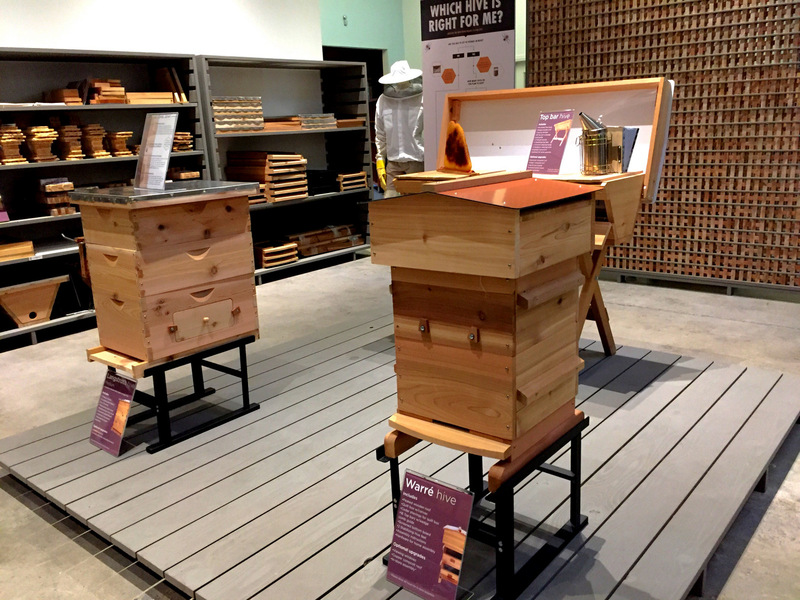 It’s brought to you by Matt Reed and Jill McKenna of Bee Thinking, Portland’s leading independent beekeeping company. Mead is an ancient alcoholic beverage brewed from honey. It has a surging popularity with production doubling between 2012 and 2014. There are about 400 meaderies in the US now, compared with under 75 just five years ago. One undoubtedly popular aspect of mead is that many varieties are gluten and grain free, although some varieties such a braggot include grains. 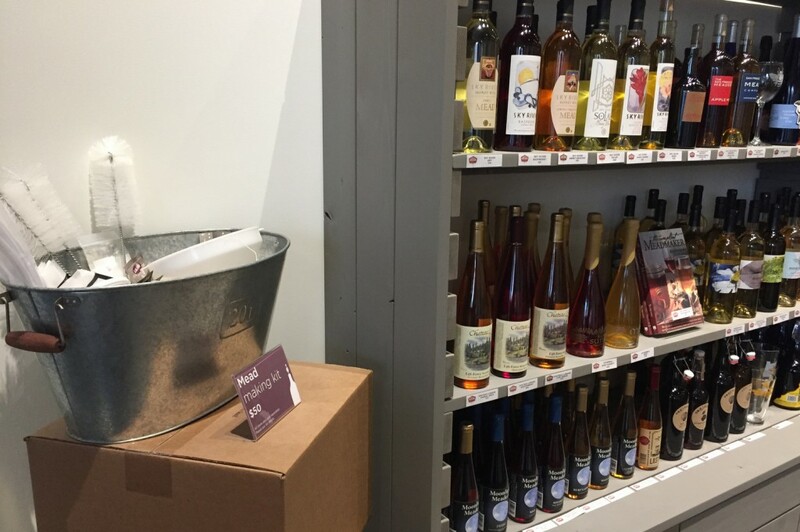 You can taste and buy mead at Mead Market. A tasting counter will feature a variety of meads of different styles, many of them from the local area. You can taste the meads on tap and fill growlers to take home. Over 100 different mead labels will be available by the bottle in the shop to take home. Local meaderies include Fringe Meadery, Stung Fermented, Ethereal Meads, Nectar Creek and Hierophant. 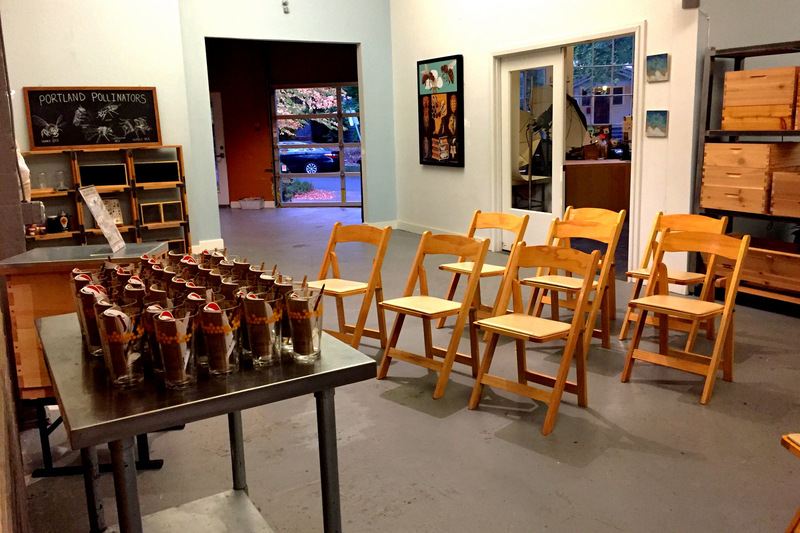 If you’d like to join the mead movement, you can buy a mead-making kit and join in classes to learn how to ferment mead and how to taste and pair mead with cheese. The different varieties of mead yield very different pairings. Some meads are not at all sweet, while others are. Some are brewed in an ale style, while others such as cyser include apple juice. 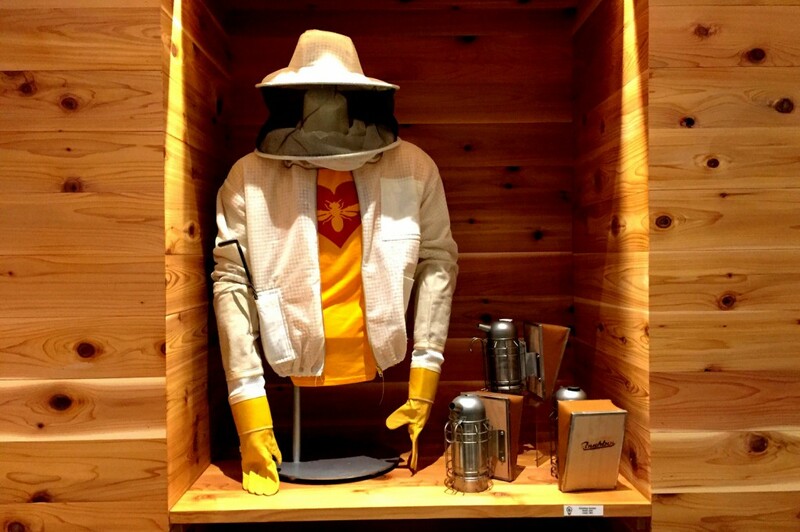 For budding beekeepers, you can also browse the equipment and hives available from Bee Thinking. The staff members are passionate and knowledgeable about bees. 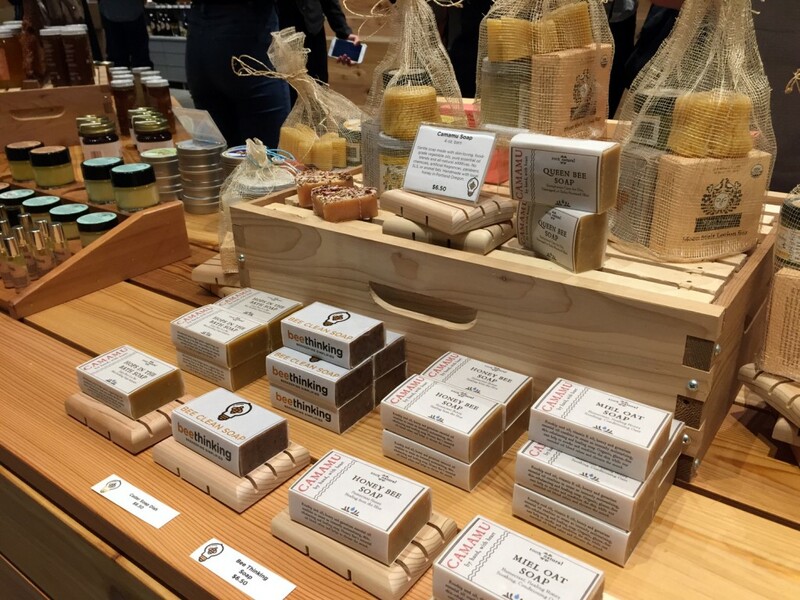 Honey products, including cosmetics, candles, soaps and more are available. You can also buy bulk honey. 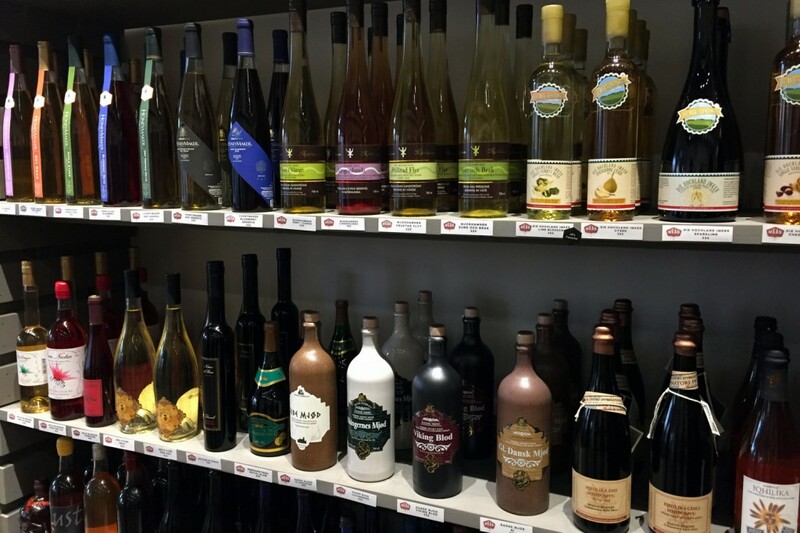 Mead Market will be open Sunday-Wednesday 10AM-6PM and Thursday-Saturday 10AM-8PM. It is well worth dropping by to browse. ACME Farms + Kitchen is a new source for Portland home cooks to get local, seasonal ingredients they can use to create home-cooked meals. If you need meal preparation inspiration beyond a trip to the farmer’s market or a CSA, it is a good choice. 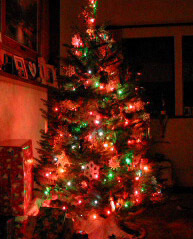 The company has been serving the Seattle and Bellingham areas and began the Portland service area in February. 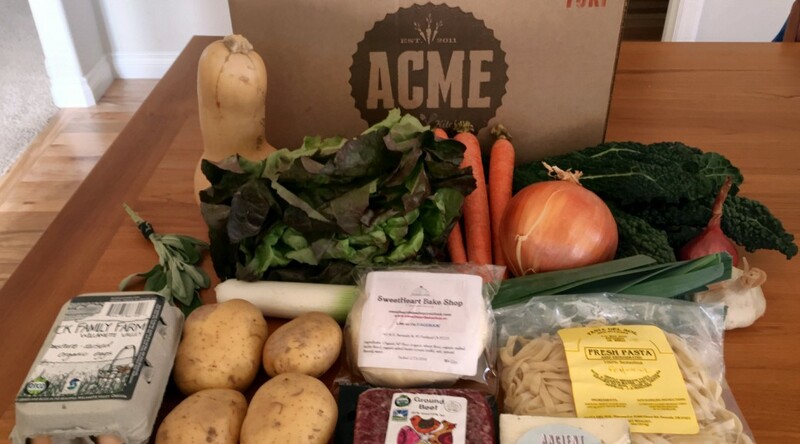 Unlike national meal kit companies such as Blue Apron or Plated, what arrives in an ACME Farms + Kitchen box is sourced from the surrounding area. Fresh local and seasonal vegetables, meat, seafood, artisan cheese, fresh pasta, baked goods and other ingredients come small farms and producers from just down the road. They arrive via a local driver at your doorstep within the service area. The boxes come in two sizes and a couple of choices. You can buy a one-time purchase or sign up for a subscription to receive a box every 7, 14, or 28 days, which can be canceled or modified at any time. The large locavore box has ingredients and recipes for five meals. You have a choice of regular, dairy-free, gluten-free, dairy-free and gluten-free, and double protein. The small locavore box has ingredients and recipes for three or more meals. You have a choice of Surf (with one selection of fish or shellfish), Turf (with one selection of meat), small gluten free with one protein of either meat or fish, vegetarian, or vegetarian gluten free. The paleo box is more expensive as it contains a roast, fish or shellfish, and three cuts of meat in addition to seasonal produce. When you get the box, the recipe sheet notes what other pantry items will be needed to make the recipes. These are things such as milk, broth, spices, oil and butter. Each meal will feed a family of three to four people, so a small box provides enough leftovers for most of the meals for a week for a couple. A small box every-other-week would be suitable for a single person. Often there is a soup recipe or an entree that could be portioned and frozen for later lunches, etc. The box arrives with the meat usually frozen and on a cold pack. It is a delight to unbox it and see the vegetables and artisanal products included. Winter squash carbonara with sage: fettuccine pasta from Pasta del Sol, butternut squash, shallot, garlic, sage. You could add on local bacon to the order or provide your own from your pantry. You provided parmesan cheese, broth, and oil as well. The preparation required a skillet, pasta cooking pot, and blender. The resulting pasta would easily feed four people, and was colorful enough to be served to guests. Shepherd’s Pie: Deck Family Farms ground beef, yukon potatoes, carrots, onion, garlic and organic kale. You provide dried thyme, olive oil, butter, cornstarch, milk. You needed a pot to boil the potatoes, skillet, pie plate to bake in oven. The dish was hearty and very satisfying. Quiche Lorraine with Green Salad: Pie dough from Sweetheart Bake Shop, pasture-raised eggs from Deck Family Farms, Ancient Heritage Willow cheese, onion, leek, lettuce. You provide olive oil, milk, sour cream, bacon (which could be added on), and salad dressing. You needed a skillet and pie pan to prepare it. The technical cooking skill level for these dishes is beginner to intermediate. You need a kitchen well-stocked with pans, skillets, knives, and often a food processor or blender is needed. The instructions give tips on getting a head start for recipes that will need the beans soaked, etc. By serving time, a home cook will feel they have made a great from-scratch meal they can be proud of from local and seasonal ingredients. For those who have family members with off-beat food allergies, you are able to modify the recipes to suit and season them as you prefer, or use the ingredients in your own recipes. The meals generally seem to include a dinner or two and a breakfast or brunch item. The ACME Farms + Kitchen service can be a great way to be inspired in creating home-cooked meals from local, seasonal ingredients. Portland’s Fashion Week featured many bright lights of the design scene. 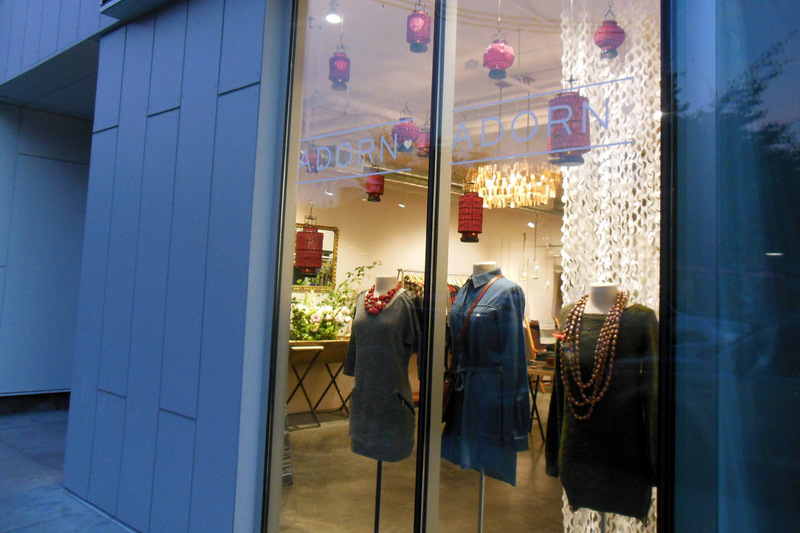 I attended a preview of Adorn‘s new second location at 3366 SE Division, which opens on October 3rd. They will have a Grand Opening Party on October 16 from 6-9 pm. featuring giveaways throughout the event, cocktails by RAFT Syrups and Northwest Distillery, bites from some of Division’s hottest restaurants, a trunk show with exclusive Henry and Belle and Fidelity Denim styles and exciting raffle prizes from its Division St. neighbors. 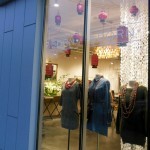 Adorn focuses on brands that source and produce responsibly and sustainably. 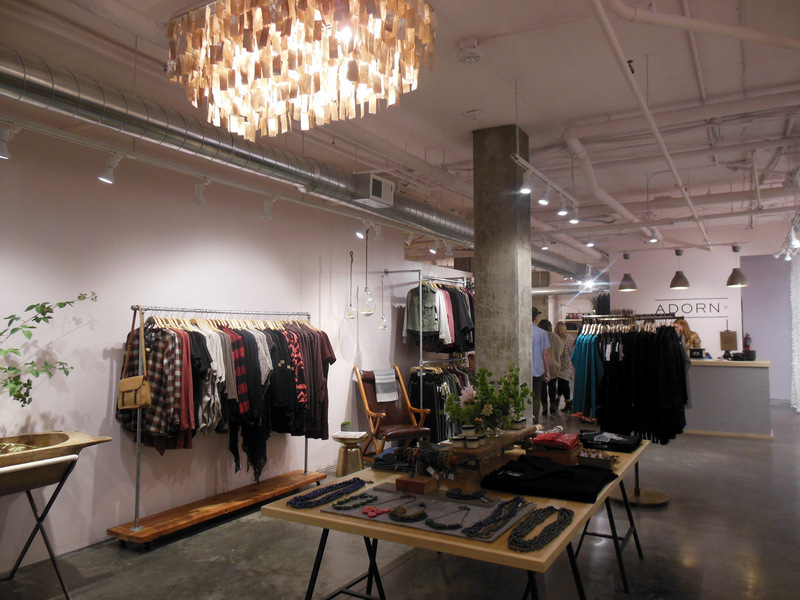 The Division Street store includes the largest denim collection in Portland and tempting displays of jewelry and accessories. 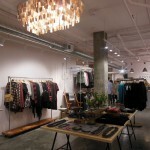 Browsing the styles from Prairie Underground, Nikita, ecoSkin and more I was happy to see sizing up to 16 or XL. Whitesell opened Adorn on Fremont in 2008, and her online store tempts customers nationwide with sales tax-free shopping. 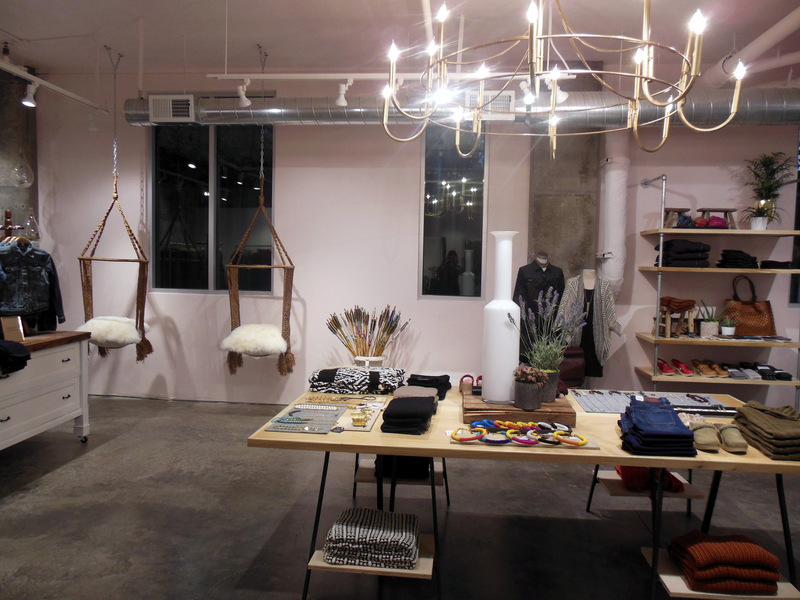 Her husband Ethan handcrafted many of the fixtures in both boutiques. 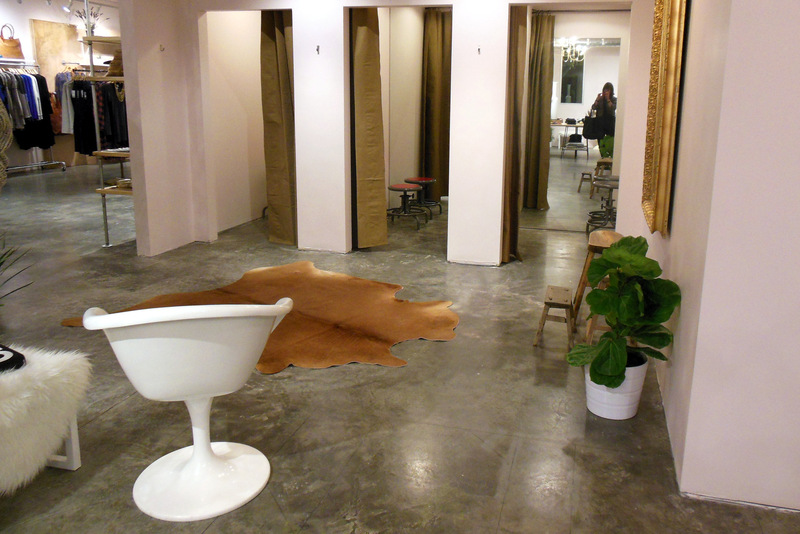 The space was comfortable to browse and the fitting rooms were spacious with a beefy curtain for privacy. Customers enjoyed posing in their new fashions against photo-ready backdrops. 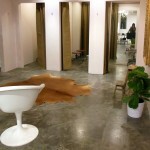 I was tempted by several designs, but realized I could use the personal styling services to choose the best. 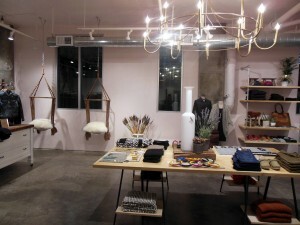 I loved the accessories and took home a great lulu Fierce necklace, which is handcrafted in Portland by Lacey Arnett. 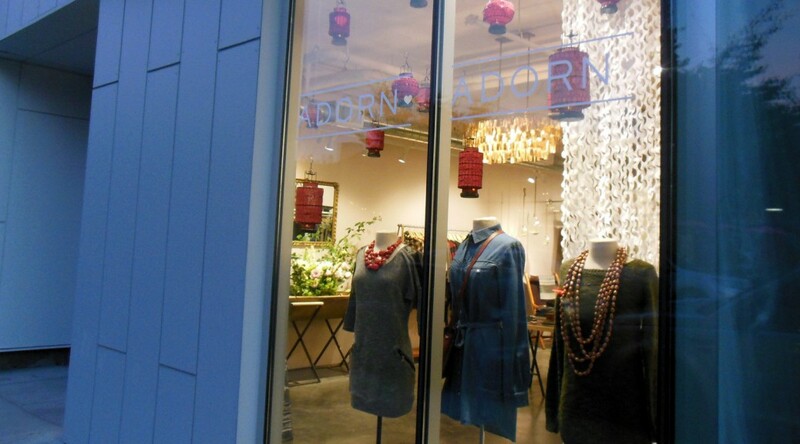 Adorn’s two locations are at 4120 NE Fremont St., and at 3366 SE Division St. in Portland. For more information, please visit shopadorn.com and follow them on Twitter @shopadorn, Facebook at Adorn and Instagram @ShopAdorn. I was looking for a new large purse/small briefcase to carry my new mini-laptop around with me. My first locavore option was to shop for it on our getaway weekend to Quartzsite, Arizona. I thought the huge swap meet would surely have some Southwestern artisan-made bags. Unfortunately, we didn’t stumble across such wares. But as I was getting in line to board the plane, I spied bags in an airport shop that looked like exactly what I was looking for. Surprise, surprise – they were Pendleton Woolen Mills bags, from the 140 year-old, fifth-generation family-owned company back here in the Northwest. I had to board the plane, so my shopping would continue back home. 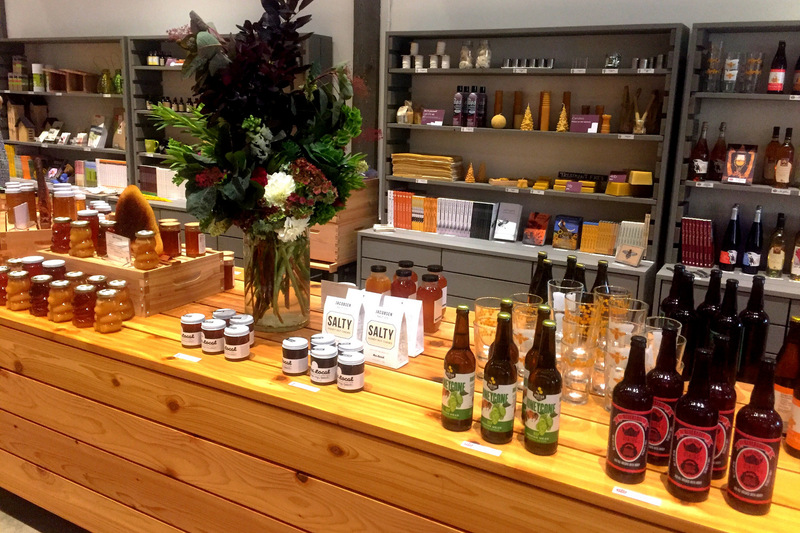 Our first stop was the Pendleton store at Portland airport. They didn’t have the same bags I saw in Phoenix, so I hit the internet. 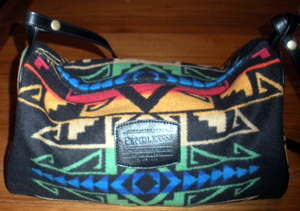 The Pendleton site itself didn’t have the designs I saw, but I found Pendleton large Dopp bags on eBay and placed an order. On Saturday, I visited the Pendleton store in downtown Portland and found the same bags. Pendleton Woolen Mills is a Northwest success story. English weaver Thomas Kay came West and set up a woolen products business in 1863. His daughter married into the Bishop family and the company then combined production and retail marketing. They have been producing woolen blankets, shirts, and other items from their mills in Pendleton, Oregon for 100 years and in Washougal, Washington for 97 years. That’s a sustainable business model! They control the entire vertical production and distribution of their items, from purchasing of wool from wool producers to milling, weaving and selling of the finished products. I generally have avoided wool clothing as I find it scratchy (even cashmere!). But I wanted a durable and attractive bag to take to work beyond. I have several briefcase-sized bags and totes, most of them freebies from conferences. I wanted something smaller that was right-sized and had a shoulder strap. I am pleased to have found just what I wanted, produced by a local company that has found over a century of success. Our Thanksgiving Weekend excursion into the wine country of Oregon took us to two McMinnville-area vineyards we had not visited before. Coleman Vineyard is a family-owned sustainably farmed vineyard in the McMinnville appellation. We spotted it on the drive to Maysara Vineyards. Just how “family” is this estate winery? How about an 11-year old winemaker, Ryan Coleman, whose Racy Red is a delight? Wine Press Northwest covers the story on how, yes, he really does make the wine, right down to negotiating with Mo Momtazi for some of the wonderful fruit that would otherwise have gone into Maysara wines. Ryan was there, not allowed yet to touch the wine, but selling cask stave candle holders at the great price of $16. I enjoyed all of the wines, but we had just bought a case of Maysara and decided to wait on Coleman wines. But I had also spotted entrepreneur Savannah’s beaded wine charms. 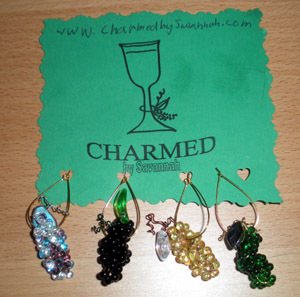 I have been wanting wine glass charms for when we have parties, to allow my guests to tell their glasses apart. But I always hesitated in buying them at a store, I wanted something unique. Savannah, like Ryan, is about 11 years old and she runs her business professionally with a web site, Charmed by Savannah and good salesmanship. I was happy to buy eight charms from her. She even provides a guarantee if the string breaks, etc. For both Ryan and Savannah, the money will go towards their education and retirement. They are both serious in their business and produce excellent products. Coleman Vineyard is only open by appointment or for events. We will probably visit again when we make our twice-yearly trip to Maysara. We especially enjoyed the comfy chairs in their tasting room. We asked if there was a story behind the pirate on the vineyard sign. No, not really, Randy Coleman just likes pirates.